Around 2:50 he tells he had his awakening experience at the age of 11. His theories and models are based on this experience. The following extract is from a letter written by Jung to Fernando Cassani of Caracas, Venezuela on 13 July 1954. 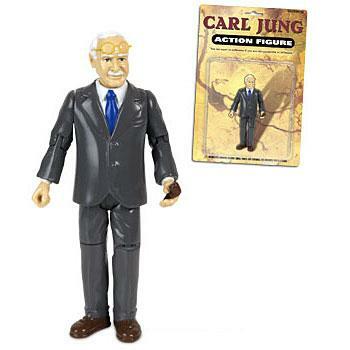 It is of interest not only because it lays out Jung’s attitudes toward Gurdjieff and Ouspensky, but also touches on his own unique position as an “empiricist of experience” — a position which often causes considerable consternation among casual readers of his work, taking it to mean that he is a “scientist” rather than a “mystic,” which, of course, is incorrect; he was a “scientist of the mystical experience,” or one who, having encountered God, chose to describe it in the language of science rather than mysticism. enclose a list of them. ?? It is strange that Jung shows no interest in the work of Gurdijeff, who, in my opinion, operated in exact the same area and who came up with better models of the mind than Jung himself. Not that I all this is very important: to be or not to be, that is the only thing that really matters.